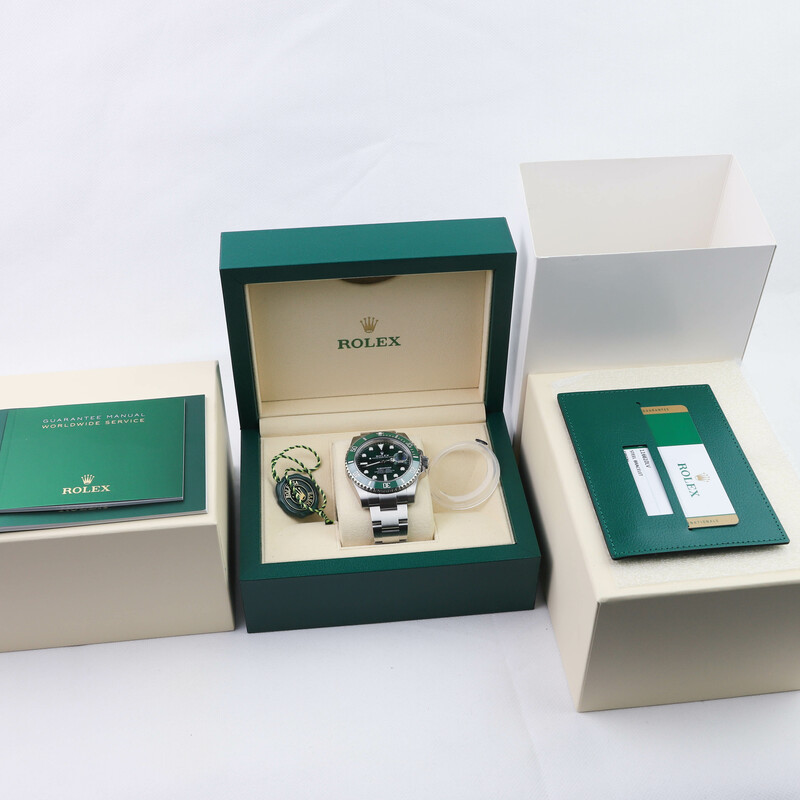 Unworn, fully stickered, fullset complete with box and papers dated 2018. 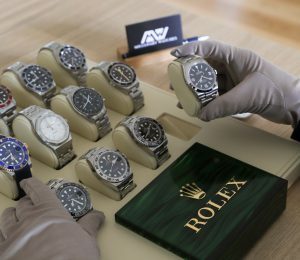 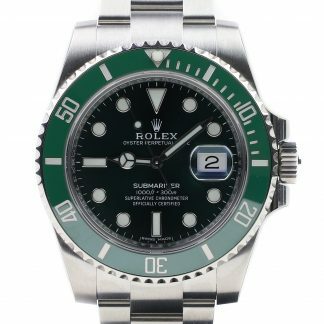 This Rolex Submariner reference 116610LV also nicknamed the “Hulk” has skyrocketed in popularity in just a few year’s time. 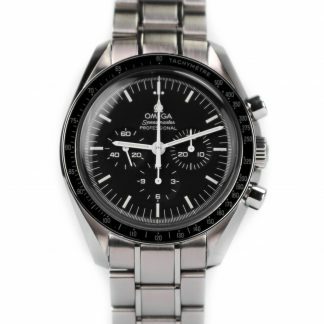 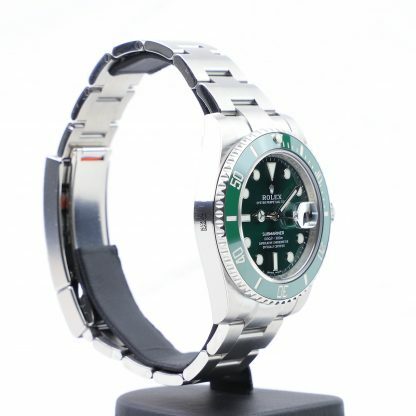 As a result, this watch is getting increasingly difficult to come by. This example still has the factory stickers intact, and an unsized bracelet with all links. 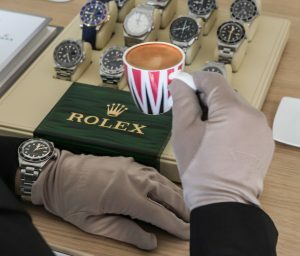 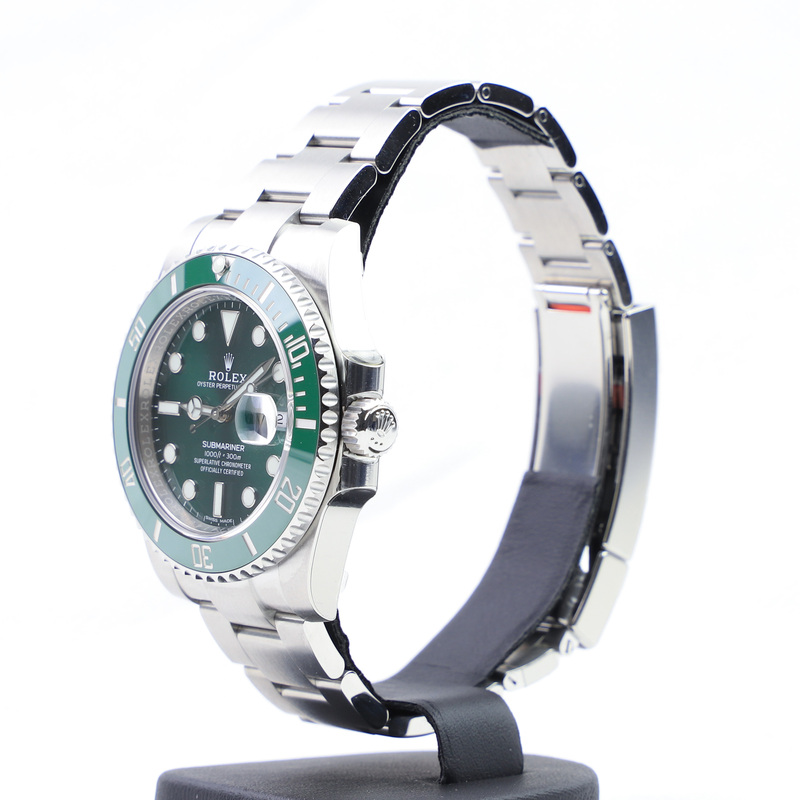 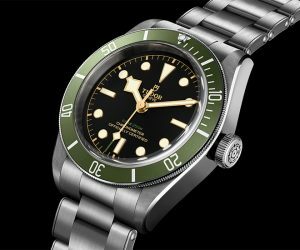 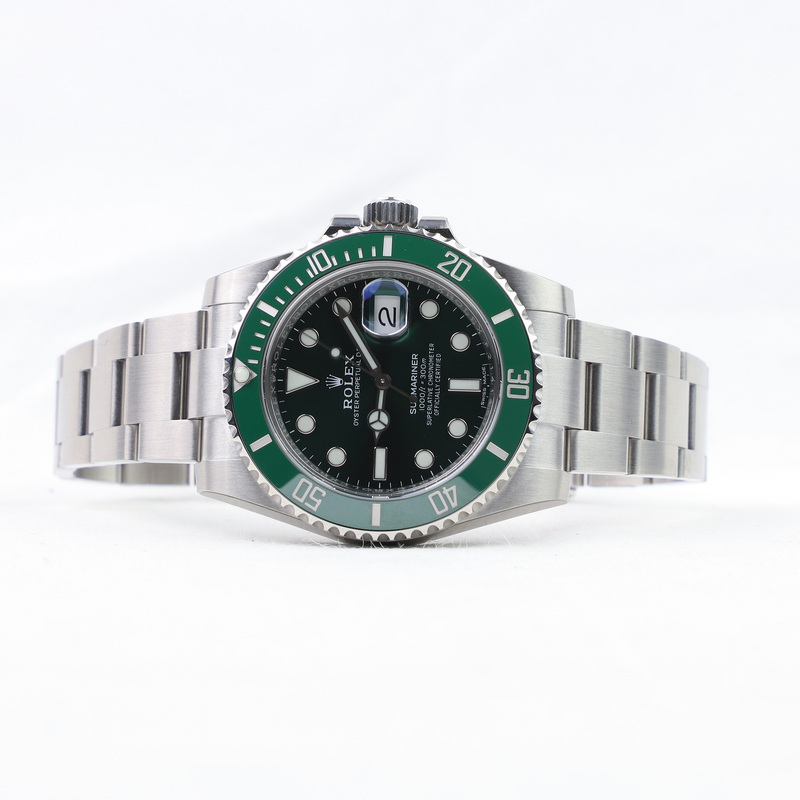 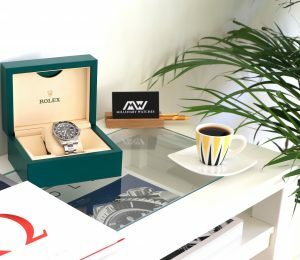 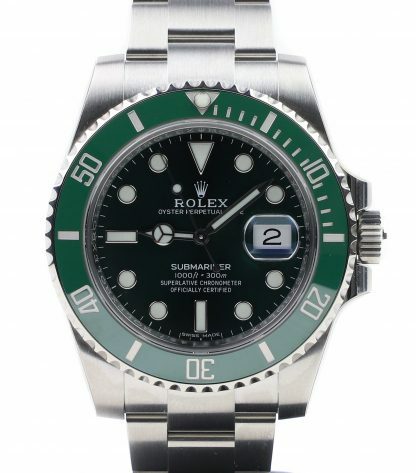 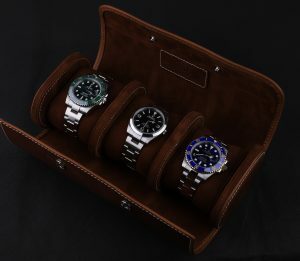 The Rolex Submariner 116610LV is based on one of the most iconic Rolex models, the Submariner, but this example has been refreshed with a green ceramic bezel, as well as a green sunburst dial. 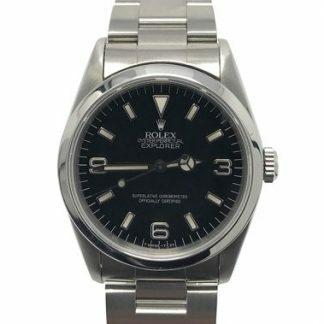 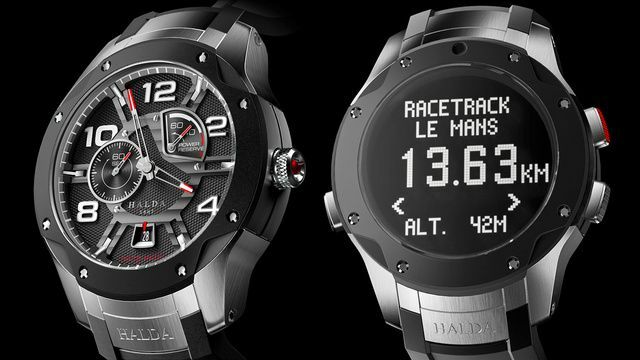 This is a watch that really stands out, yet in a quite subtle way. 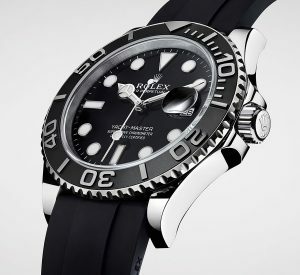 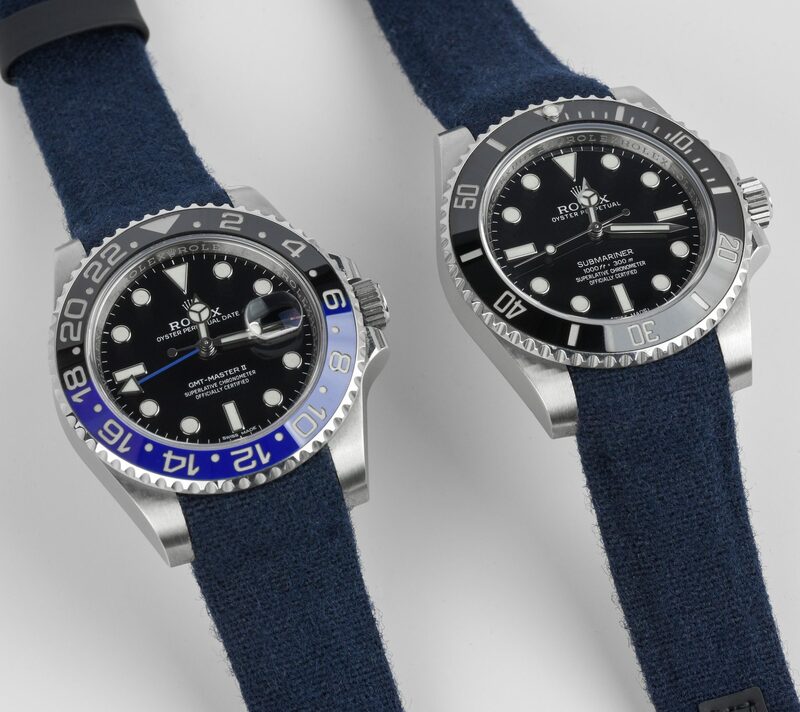 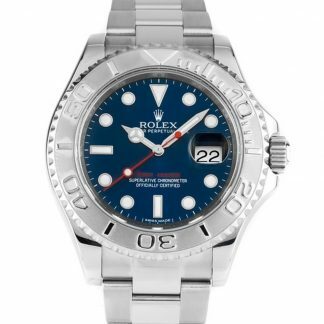 Being a Submariner, it is no different from the standard black Submariner. 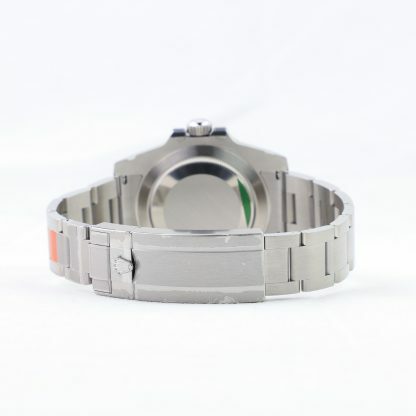 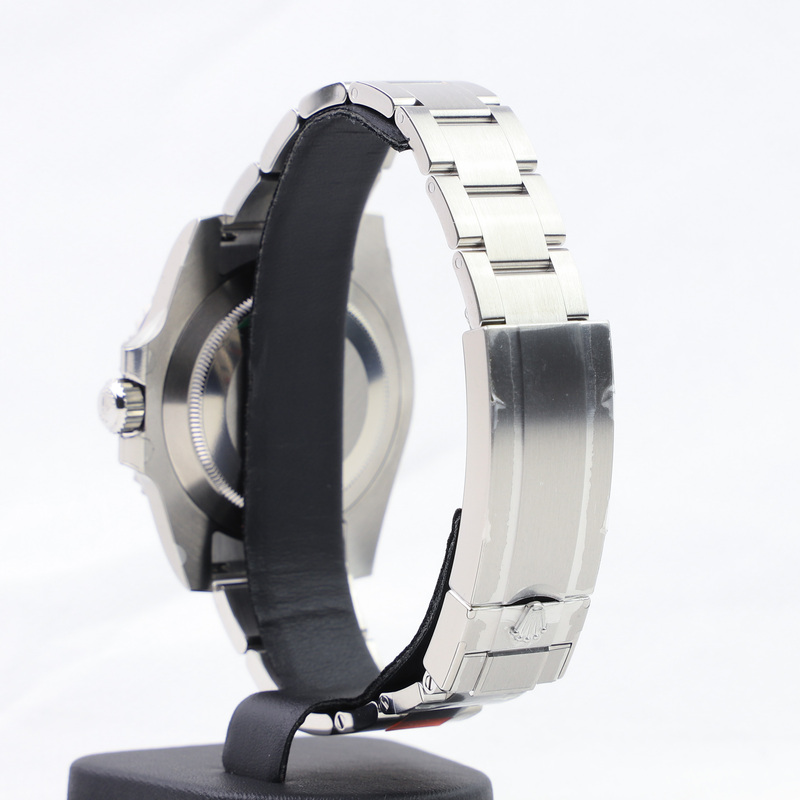 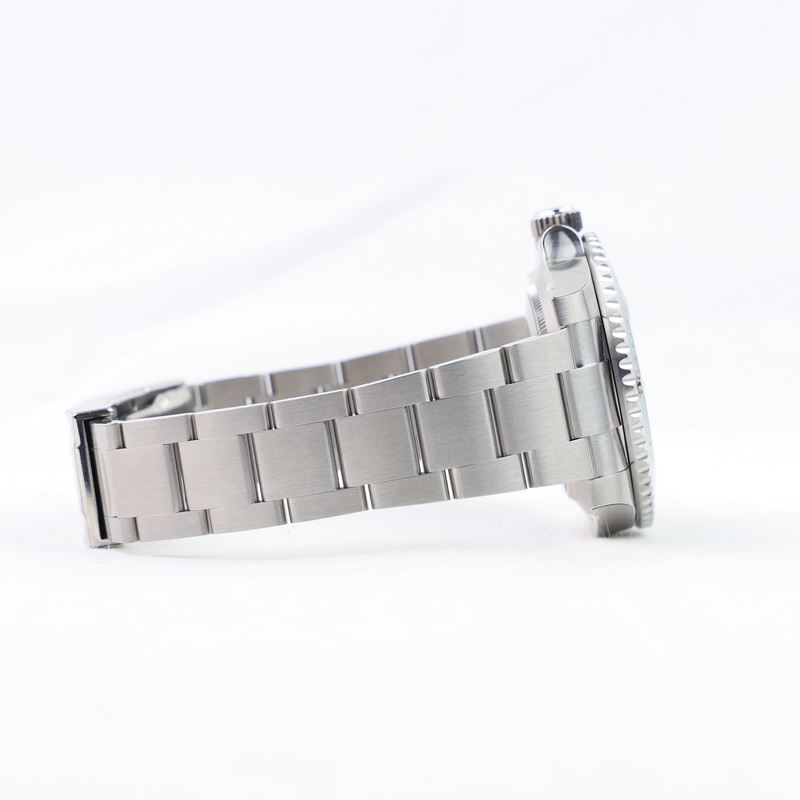 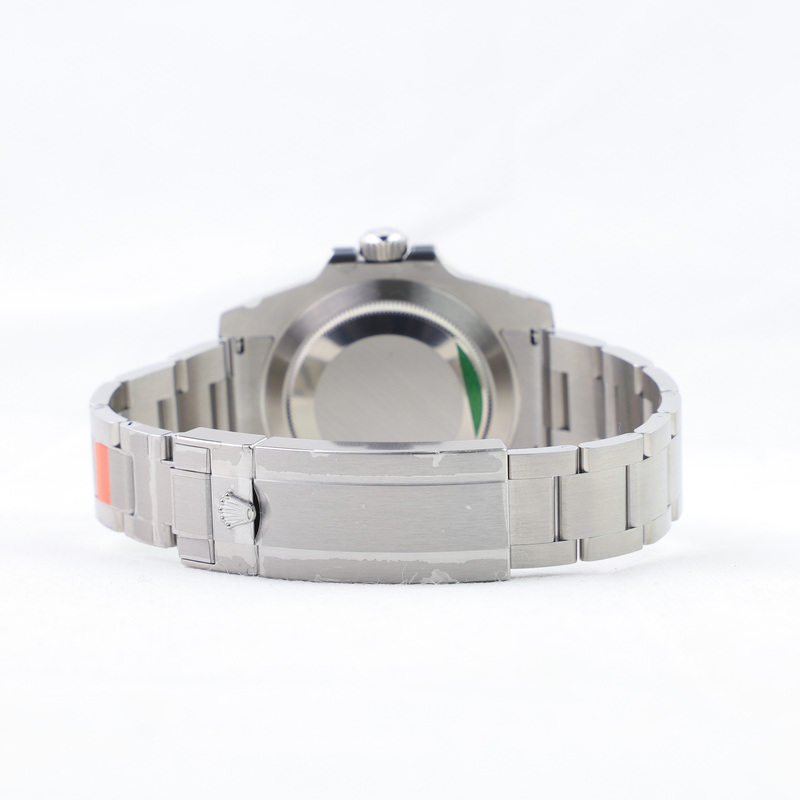 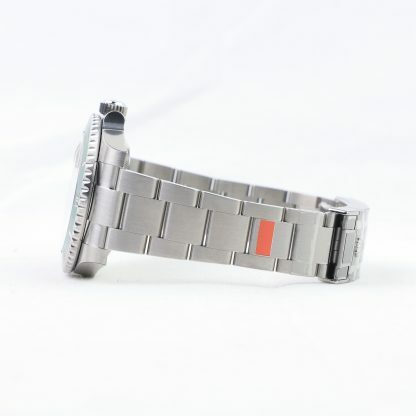 It is equipped with a Glidelock clasp, which allows you to change the size of the bracelet without using any tools. 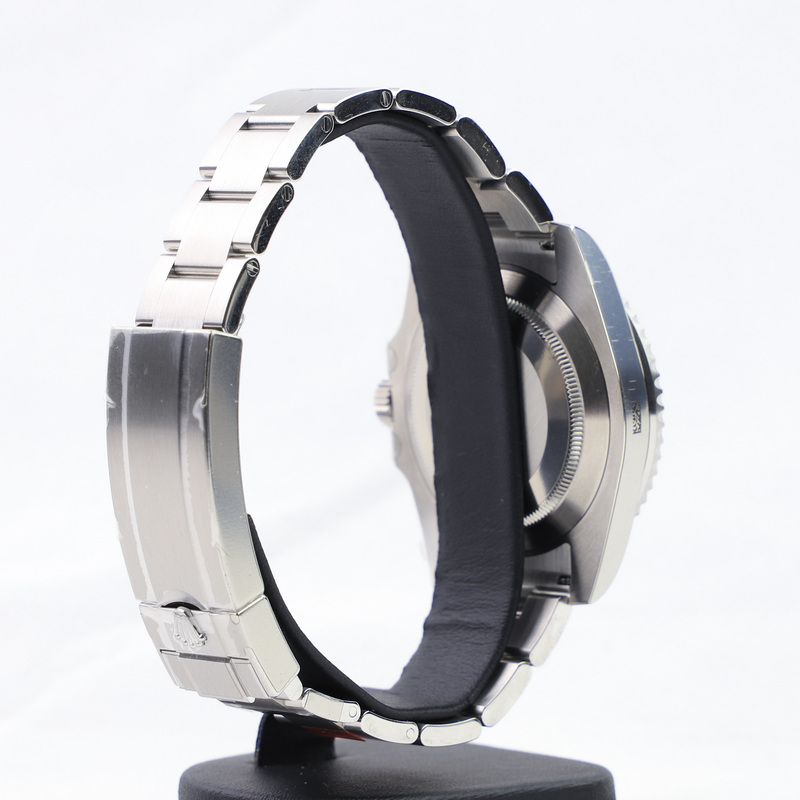 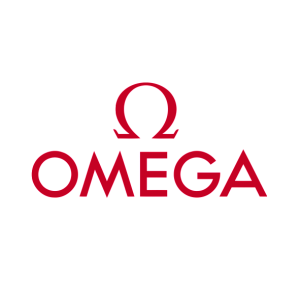 Furthermore, it has a unidirectional rotating bezel, and a date function. Not only has this dial been made green, but it is also a sunburst dial, which makes it catch the light beautifully and differently from the standard Submariner which has a flat ceramic dial.